Mark Goldblatt’s first book, TWERP, introduced us to 12-year-old Julian Twerski. He’s a smart kid with many thoughts about life and growing up. This sequel set in 1969-70, has Julian at age 13 returning to his journal writing. The story will have you laughing, crying, and thinking. It’s a funny book wrapped up in a serious one. If you missed out on TWERP, you’ll be familiar with Julian’s gang of friends in no time. 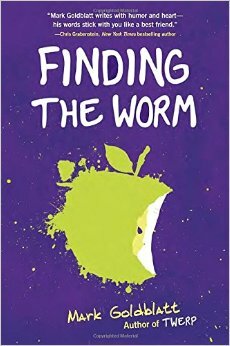 FINDING THE WORM is a separate story that stands well on its own. If you take the journey with Julian, he’ll seem like an old friend by the last page. I call that excellent writing. It also shows a male writer can push the emotional buttons instead of avoiding them. Everybody deserves to have someone in their life like Julian. He’s loyal and his story would be perfect for anyone at that awkward almost a teenager stage. FULL PLOT (From Amazon): Trouble always seems to find thirteen-year-old Julian Twerski. First it was a bullying incident, and now he’s been accused of vandalizing a painting. The principal doesn’t want to suspend him again, so instead, he asks Julian to write a 200-word essay on good citizenship. Julian writes 200 no’s instead, and so begins an epic struggle between Julian and his principal. Being falsely accused is bad enough, but outside of school, Julian’s dealing with even bigger issues. His friend Quentin has been really sick. How can life be fair when the nicest guy in your group has cancer? Julian’s faith and friendships are put to the test . . . and the stakes have never been higher. Julian is a superb narrator and talks with his rabbi concerning life and the unfairness of it all will hit home with anyone. I love when books make me laugh and this one has some hilarious moments. Yes there will be smiles, giggles, and full blown bursts of laughter. The power of friendship is on display in a variety of forms. Julian must stand up for a sick friend but he’s also trying to understand the friendship that comes from a first crush. Life in the New York City borough of Queens is brought to life from school to games on the street. Who knew a simple pursuit known as Piggyback Tag would bring the value of friendship and community so vividly to the forefront. The parents and adults are way, way, in the background. Just what young readers want. It’s the Thirty-fourth Avenue gang that comes up with many of the growing up answers. And not everything has an easy answer. “That’s okay, honey!” his mom shouted, which made the rest of the congregation laugh. 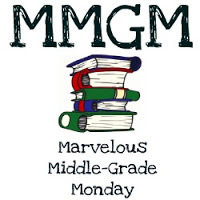 This entry was posted in Reviews and tagged Finding the Worm, Mark Goldblatt, MG book reviews, Middle grade. Bookmark the permalink. Sounds like a great book, especially since it made you laugh. I love the title. I like the idea of a funny book wrapped up in a serious one. Still need to read Twerp, though I’m happy to hear this one can stand on its own. I absolutely LOVED Twerp, so can’t wait to get my hands on this one. Thanks for the review. Unfortunately, I haven’t read TWERP yet–but this one sounds truly amazing. I like that some authors are writing 13-year-old characters, because I have read many editors opining that 12 is the limit for MG. Go for it, writers of 13-year-old characters! This book sounds really good. It reminds me a little of UNGIFTED when you described the conflict between Julian and the principal. I love characters with gumption. I think how his Jewish faith fits in to the narrative would make this an interesting read as well. Thanks for featuring it! Seems there’s more than just the usual boy in trouble book here. And the title is a keeper. I enjoy your reviews. Like the title and plot of this story.